The Art and Architecture of Ireland is a five volume legacy project by the Royal Irish Academy celebrating the visual arts in Ireland. 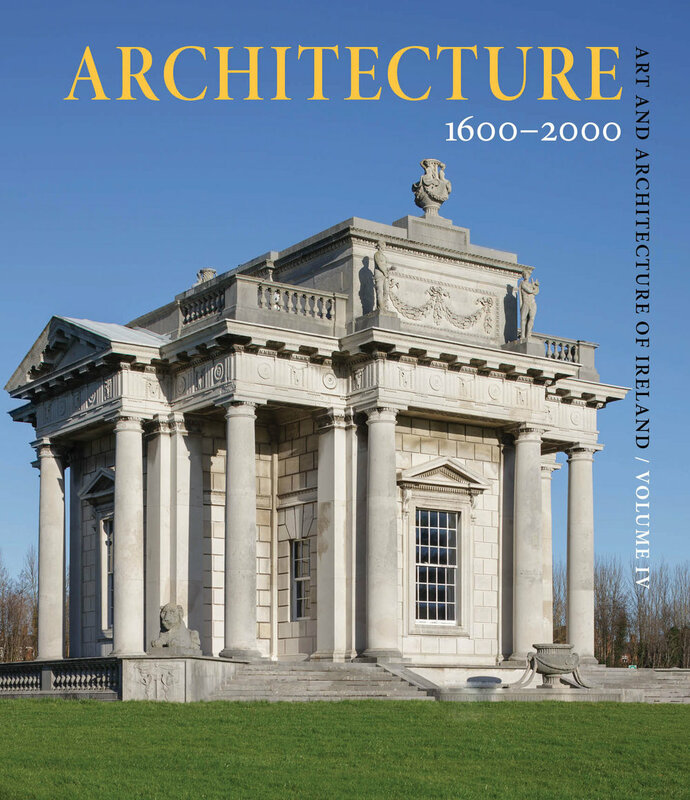 Edited by Andrew Carpenter, Rolf Loeber, Hugh Campbell, Livia Hurley, John Montague, and Ellen Rowley, Volume IV 'Architecture from C.1600 to C.2000' provides a concise narrative of the last 400 years of Architectural history in Ireland. Jane Larmour contributed a chapter on 'Bath houses, Spas, Lidos and swimming pools' included in "The Architecture of Recreation and Public Resort". "The most complete survey of architecture in Ireland ever published. The essays in this volume cover all aspects of Ireland’s built environment, not only buildings but infrastructure, landscape development, public and private construction and much else. The volume challenges and expands the traditional understanding of Irish ‘architecture’, giving novel and exciting interpretations of the field and, by means of many striking illustrations, encourages us to think anew about the environment that surrounds us."